Writer, historian and activist Walidah Imarisha has been a fixture in Portland for more than a decade. She is also known for her poetry, spoken word performances and for holding the monthly vigil for Keaton Otis who was killed by Portland Police in 2010. Imarisha has taught writing and poetry to a variety of ages and groups within many communities, including working with the African American group in McLaren Youth Correctional Facility. She also created an Oregon Black History timeline in partnership with Oregon Humanities and Portland State University’s Black Studies Department. This research has brought national attention to what has been described as Oregon’s racist, White nationalist history. Visit Walidah Imarisha's website for more links to her work. Imarisha recently moved to California to teach writing and rhetoric at Stanford University. 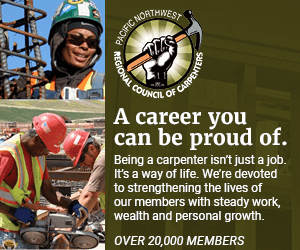 The Skanner News spoke with Imarisha about her work, her plans for the future and how she intends to stay connected to communities in Oregon. This interview has been edited for space and clarity. The Skanner News: In your work, you write in many genres -- from poetry to abolishing the prison system to radical science fiction and the racist history of Portland. Creatively, do you feel pulled in many directions or is there a common theme at the core of your work? Walidah Imarisha: I definitely feel that there is a common theme at the core of my work and I think that theme is really about visioning and imagining different possibilities rooted in histories and current realities of resistance. I think that these boxes we create around different kinds of writing can be useful but often can keep us from understanding and seeing that really, in my opinion, genres are different ways of knowing and exploring, they aren't different content. TSN: What do you plan on bringing to the new position at Stanford? WI: Well, I am teaching in the program of writing and rhetoric, so I'll be teaching courses for incoming freshmen. The great thing about this program is each lecturer gets to choose our theme. Even though we have the same learning objectives across the program, we get to each tailor the lens through which we teach that material. I am getting to bring my focus around movements for social justice as well as explorations of racial justice to this course. One of the other areas of my work that I will be focusing on here and hoping to continue connecting in Portland is my work around prisons and prison abolition. 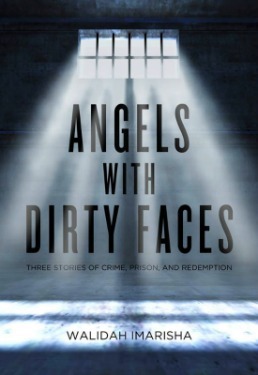 I have my new book that's out, “Angels with Dirty Faces” -- three stories of crime, prison and redemption -- that explores these issues through people's stories and I will be doing work with that as well. TSN: Are you planning on coming back to Portland? WI: That's the million dollar question. I really haven't thought past this part of the move. I think there are a lot of questions, so I am sort of staying open to what happens. I definitely really love and value my work in Portland, and regardless will stay connected with the work that I started there wherever I happen to be. TSN: You were recently quoted in an Atlantic article about the racist history of Portland. Do you see your work reaching a broader understanding among White Portlanders? WI: I think that this is a collective process. The work of exploring Oregon's racial history certainly in no way started with me. I am building on incredible scholarship and public intellectualism from people who have been holding this work for decades and unearthing this hidden history. I think that there are many, many folks -- past, present and future -- who are looking at Oregon's racial history and who are working to shift Oregon's racial future. TSN: What do you think is the biggest challenge in discussing race and history in Portland? WI: I think, specifically, in Portland [the challenge] is this concept of neoliberal racism. There is this idea and this ideology that Portland is sort of a model for is not overtly proclaiming racism, but instead putting forth a liberal facade that allows the same racist institutions to continue functioning while denying their existence, making it that much harder to actually get at the institutional foundations of racism. TSN: You said that you wanted to stay connected to your work in Portland even while you aren’t living here. Can you elaborate on that? WI: I'll be coming back periodically to do different programs, mostly around the Oregon Black History work. I am continuing to actually go into the youth prison every month to work with young men there to support them in their self-directed educational process. I will be coming back and continuing supporting from afar the work around the monthly vigil for Keaton Otis, a young Black man who was murdered by Portland Police in 2010. There has been a monthly vigil held, every month without fail, since that date, started by Keaton's father, Fred Bryant -- who passed away, unfortunately three years ago. I think that space for the vigil is incredibly important in Portland as a place to talk about the horrific impacts of police violence on our communities and to remember the actual names and the real people who have been stolen from us by that violence by the police and to recommit ourselves to justice for the individuals and the larger community.